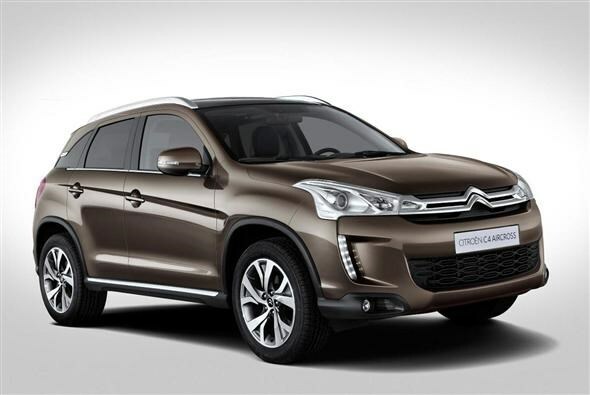 Citroen has revealed the first details of a crossover version of the C4. 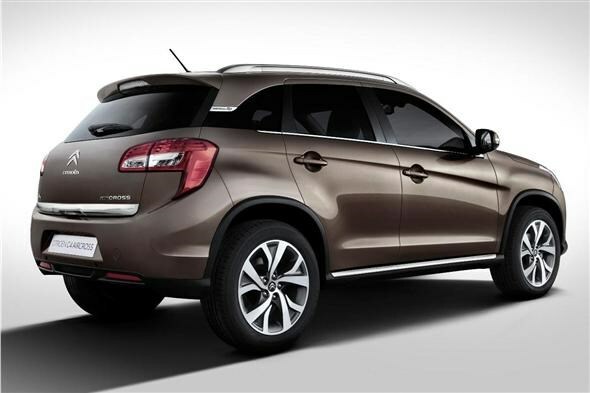 Known as the C4 Aircross, the new car borrows technology and parts from Mitsubishi’s crossover, the ASX. The car will be powered by a choice of two diesel engines (one with 110bhp and one with 148bhp) mated to a six-speed manual gearbox or a 1.6-litre petrol engine with 114bhp and mated to a five-speed gearbox. When equipped with the diesel engines the C4 Aircross will also get a clever powertrain system which can switch between two- and four-wheel drive depending on the conditions. Two-wheel drive means optimal fuel economy, four-wheel drive alternates power between front and rear axles as required and ‘locked’ provides maximum traction from all four wheels for severe conditions. The driver can switch between the three modes using the control mounted behind the gear lever. The petrol engine will only be available with front-wheel drive. Equipment on the Aircross will consist of 18-inch alloys, a panoramic glass sunroof (which is illuminated by LEDs at night), GPS sat nav, a reversing camera, indicators in the door mirrors, USB and Bluetooth connectivity. It will also get a 442-litre boot, which is exactly the same size as the Mitsubishi ASX. Due to go on sale in the second half of 2012, there’s no word on prices yet.